I Love Clowns. Do You Love Clowns? I love clowns. I do. 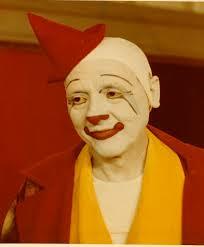 When I was a young lad, I dreamed of going to Clown College. Happy clowns and sad ones; slapstick and mimes; harlequins and tramps. I love them all. Well, almost. I didn’t like Pennywise. In this strange new world in which we find ourselves living, we occasionally encounter clowns that are wicked, or downright evil. I’m not going to talk about them, though. Clowns are meant to make us happy. They entertain us with their physical comedy. 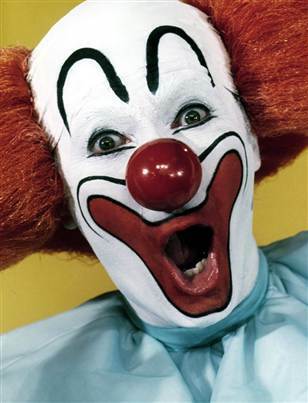 As a child of the 50s and 60s, I grew up with Bozo, The World’s Most Famous Clown and his cartoon show. Emmett Kelly’s Weary Willie was a sad, forlorn figure while Red Skelton’s Freddie the Freeloader brought more humor to the character. What about you? 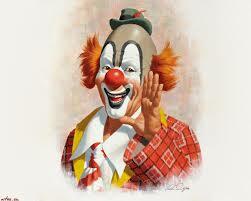 Do you love clowns or are you one of those poor unfortunates who suffers from coulrophobia? This entry was posted in Random Musings, Writing and tagged Bozo, Clowns, Coulrophobia, Emmett Kelly, Freddie the Freeloader, happy, Pennywise, random thoughts, Red Skelton, Weary Willie. Bookmark the permalink. 3 Responses to I Love Clowns. Do You Love Clowns? When my father became too old to get around much, he took up painting. 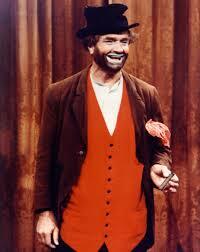 His favorite was clowns, with Emmett Kelly being king of course. I have dad’s painting in my living room – so to answer your question – yes, I like clowns. 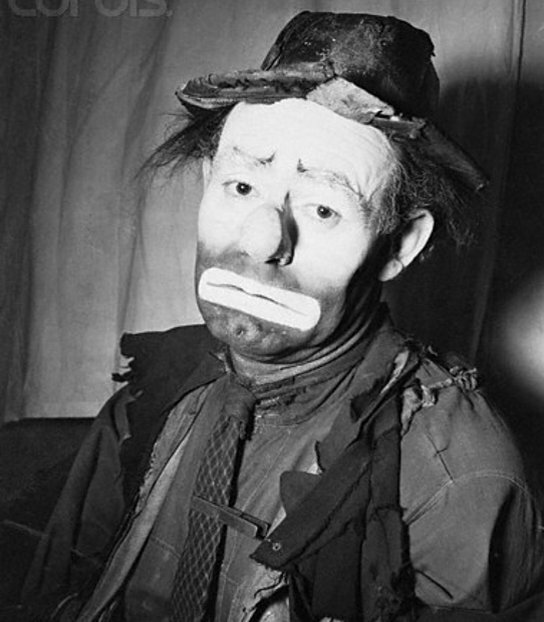 Emmett Kelly was a favorite of my Grandparents and their daughter, my Mother. Naturally, he’s at the top of my list, too! Thanks a million for stopping by and saying a few words. A clown and a suitcase…Here’s a post where I am giving my personal definition of a clown as well as analyzing from what material the clown’s suitcase could be made, how it could be and what the clown could have put inside the suitcase.